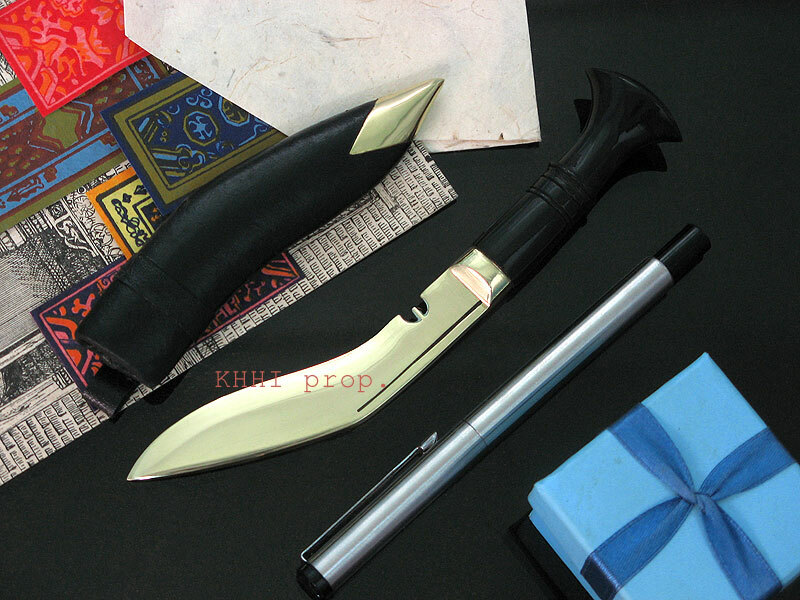 Used as letter opener or paper cutter, an ingredient for your office desktop..
Paper kukri I a useful gift item.. Probably the smallest and most famous utility khukuri knife ever made. 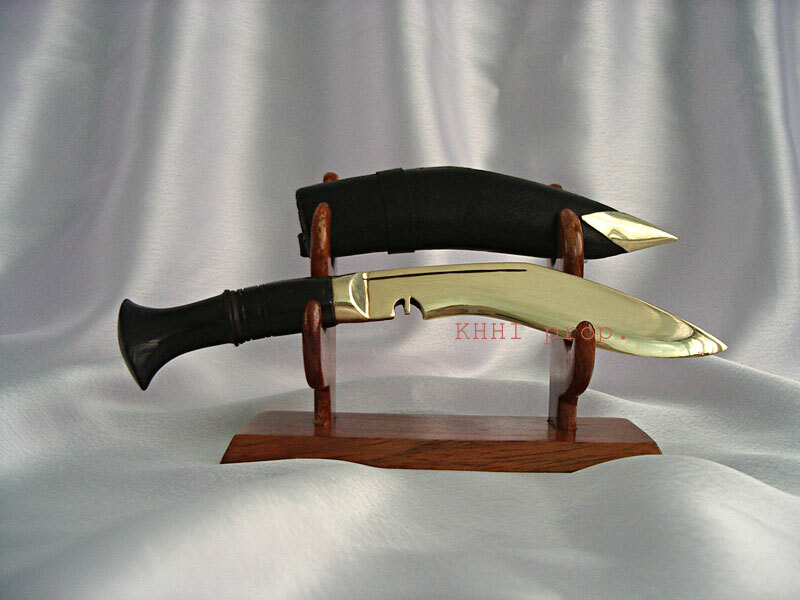 Originally manufactured by KHHI since it establishment in 1991 which later storm the khukuri world and now made by almost all manufacturers. The blade is actually the replica of the original Gurkha khukuri. 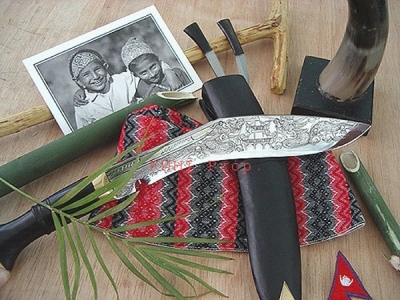 It is identical to “Service No.1 Kukri” (current issue) issued to the Gurkhas in shape and look however made in very small size. It is designed as a letter opener or a paper cutter; an ingredient for one’s office desktop. It also makes an ideal gift and a perfect souvenir from Nepal to take back home because of its very cute look and little-easy size. Likewise its easy-to-carry feature makes it extremely handy and favorite amongst visiting tourists. Paper Khukuri has basic (traditional) fittings; simple yet style of its own. The blade is made from solid metal (brass). Size of blade: 4 inch approx.